Build Better Brand With Community Centered Shops. Build A Better Brand With Community Focused Shops. ClubsIO is an e-commerce platform that enables a brand to create a community first shops and blogs for segmented audience. A club is a blend of community, shop and content. Idea is for brands to create smaller, targeted, community centered shops around a specific customer segment / buyer persona. Targeted - Store will focus on only one buyer persona. Example (Acme Inc.): "Acme Fashion For Women Over 35" or "Acme Adventure Weekend Hikers". A brand can have several such independent stores each targeting a specific persona. Community First - Ads will have the goal for customers to join the community instead of “Add To Cart”. Connect with the customer with relevant content and community of like-minded people. Sell to them later. Smaller - Shop only contains products for the specific buyer persona. Content - Relevant content that's actually helpful to the audience instead of just SEO and ranking. 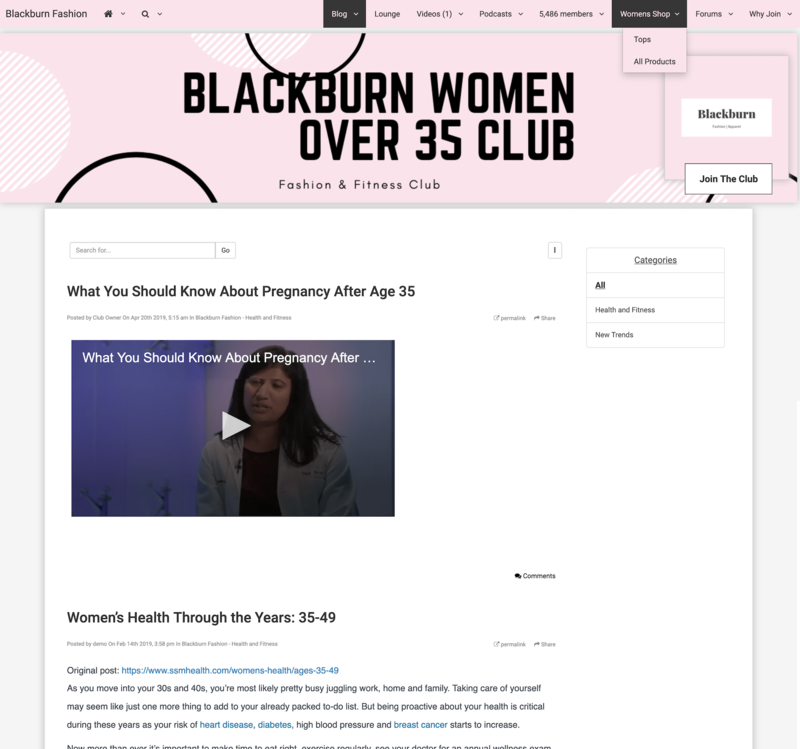 Example, Fashion brand for women over 35 that posts content (blogs, podcasts, videos) regarding women’s health and effects of stress after 35 years of age is likely to resonate with the audience instead of just fashion related, keyword dense content. Advertising: Brand can target segmented audience with ads with great precision and direct them to relevant shop. Social Proof: As the community grows, so does social proof, which helps increase trust in brand and sell more products in the shop. Brand Equity: By connecting to audience first and fostering a community of like minded people, brand's value is greatly increased. Higher LTV and Retention: Customer is more likely to stay for the community and/or content because they are adding value to their life. Chances of buying and/or referring their friends from that store increases the longer they stay. Create a club, customize navigation and color schemes and configure payment processor. Optionally connect your own website domain. Connect your club to your own website domain for larger brand SEO footprint. Club comes with an in-built store. Members can buy products without leaving your club. Club has two membership tiers - Regular and VIP member. Roll your own paid VIP "Prime Membership" program. Example: For $5.99/Month, 30% Off on all products. Platform handles refunds and cancellations. Publish any type of content - blogs, podcasts, videos and e-books. Ideally, publish content that is relevant and helpful to your target audience. Build a niche community with in-built forums, chat-room and in-club messaging. Club members will be able to invite their friends and family into the club. Build an email list of club members with CRM integration using Zapier. 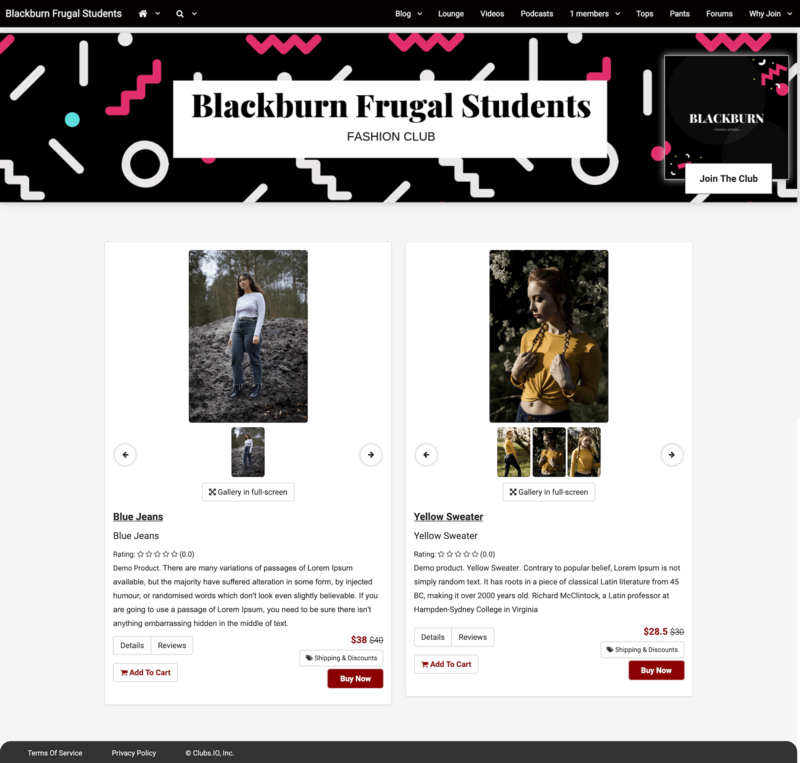 Below are example clubs of a fictional fashion/apparel brand called "Blackburn Fashion". Any resemblance is purely coincidental. Build a shop & community of highly engaged customers based on age and gender. Branded clubs based on income and/or body type can also make for a good club. 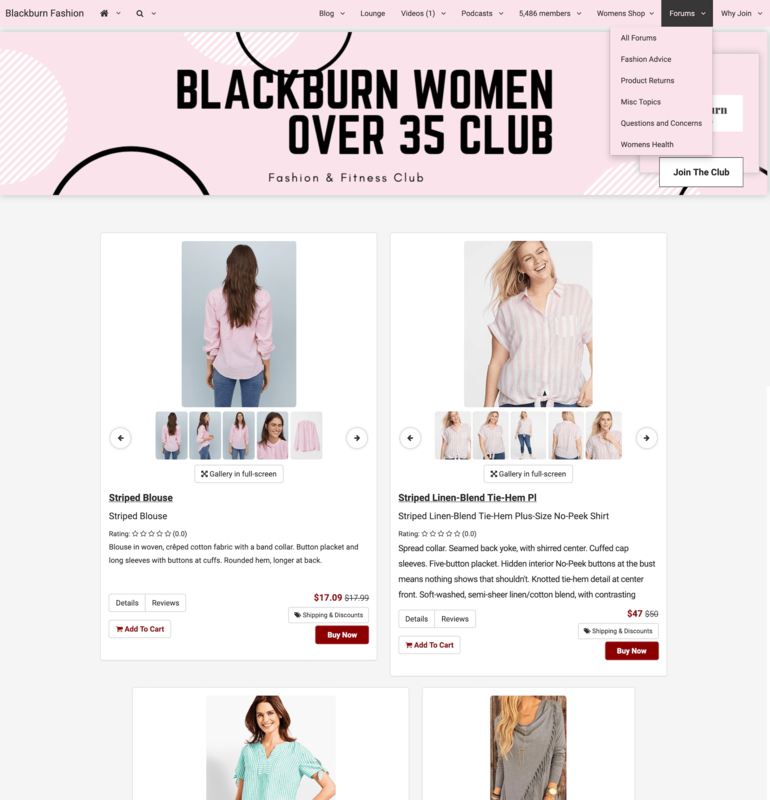 A club with products and content targeted specially for women over 35. Build social proof as club grows over time. Advertise your brand and connect with your audience better with a club targeted towards a demographic based on education and budget. A club with products and pricing catered for college/university students who are facing a student loan and money is tight. Fashion trends and products specific to New York City. Seasonal product catalog. Can be advertised to northern states. Community and products around body type. 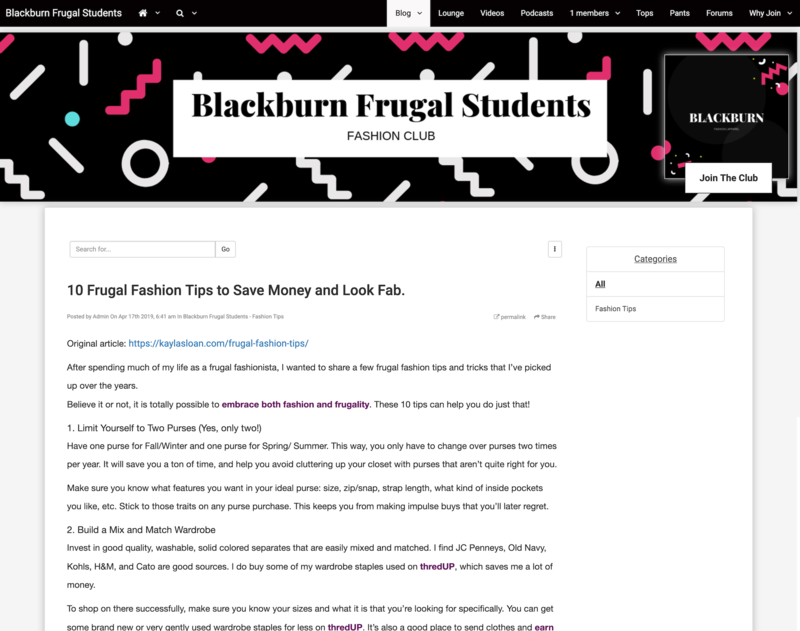 Blogs and shop with Content and pricing that helps single mothers. Highly targeted shops towards a specific age group. Shops that target aspects of a buyers life. Cat themed products and content can be used to build a community. Products with geek and gaming culture themes. Brand clubs that target buyers with certain values in their life. Shops that target buyers who chase after discounts. Brand clubs targeting high value customers. Leverage exclusivity with invite-only clubs. http://your-brand.com - Your existing site. For primary target for traffic and conversions. http://social-media/your-brand - FB, Instagram, Twitter - For traffic and leads. https://your-brand.club - Your targeted brand club for increased relevance, loyalty, retention and additional source of revenue. Interested To Know More? Let's Get In Touch. We are in beta. Become an early adopter today! Free for early adopters. Contact support for a waiver.